As your dedicated automotive specialists, we’re committed to providing you with the highest quality service. We pride ourselves in ensuring that we get you back on the road as quickly as possible, which makes choosing Tri Star Kia the best choice. See for yourself, use the buttons below to schedule service or contact our Collision Center. 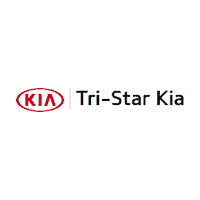 Tri Star Kia is also I-Car Gold certified and a Nissan, Kia, Fiat, Chrysler, Dodge, Ram, and Ford certified collision repair shop. Not only that, we have onsite rental cars and are direct repair with most major insurance companies accepted.